The origin of fortune cookies is a mystery. While their Japanese origins aren’t disputed, nobody knows exactly where the modern fortune cookie came from. It’s widely reported that they made their first American appearance at San Francisco’s Japanese Tea Garden in the 1890s, however, nobody knows who invented them specifically. Several people have claimed to be the sole inventor of the fortune cookie, including the founder of Los Angeles’ Hong Kong Noodle Company, David Jung, who claimed that he invented them in 1918, and Seiichi Koto, a Los Angeles restaurant owner who claimed that he got the idea to insert fortunes into cookies from slips that are sold at temples in Japan, and sold them to restaurants in the city. In fact, they’re based on a Japanese recipe. In several regions of Japan, a cookie called sujiura senbei is sold on the new year for good luck, and these are widely believed to be the origin of the modern fortune cookie. 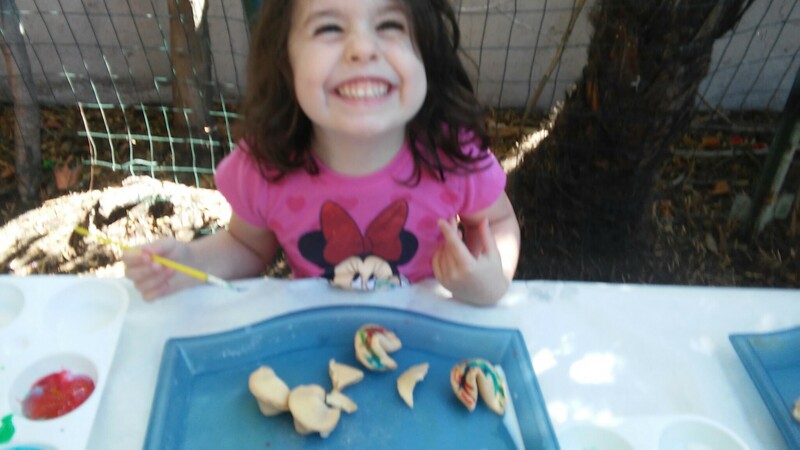 The fortunes are actually baked into the cookies, however, and they’re larger and use a different recipe. Fortune cookies didn’t make their way to China until 1989, and they were sold as “genuine American fortune cookies”. 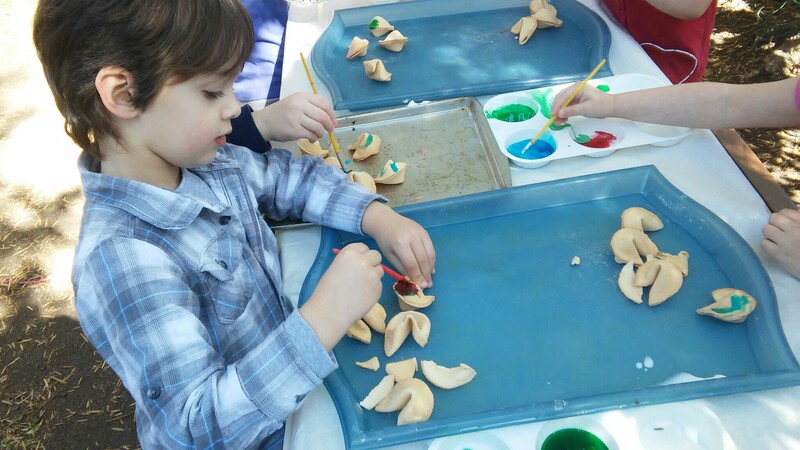 Regardless of their origins, they are currently a popular component for the Chinese New Year celebration, and so, for this activity, we painted fortune cookies for a special Chinese New Year’s treat. 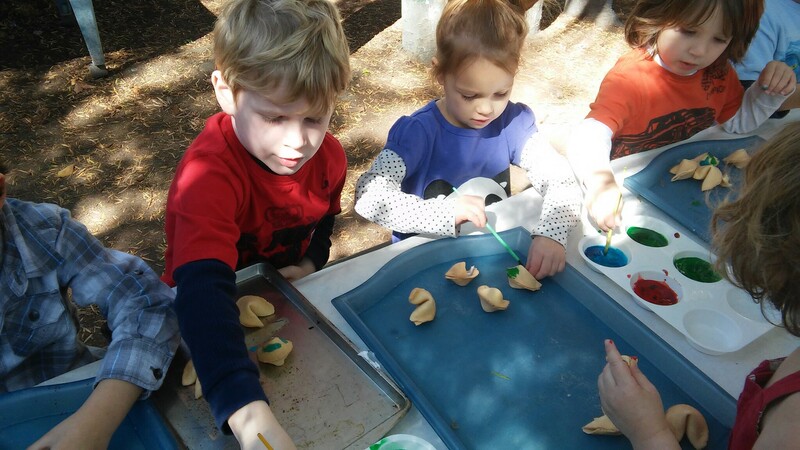 We used regular fortune cookies, food coloring, a little milk, a tray, and paint brushes. 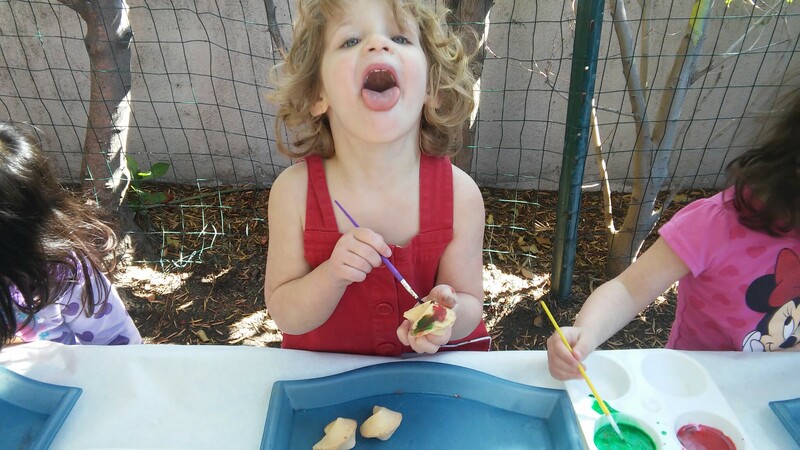 On their path towards discovery, young children need to use all of their senses. 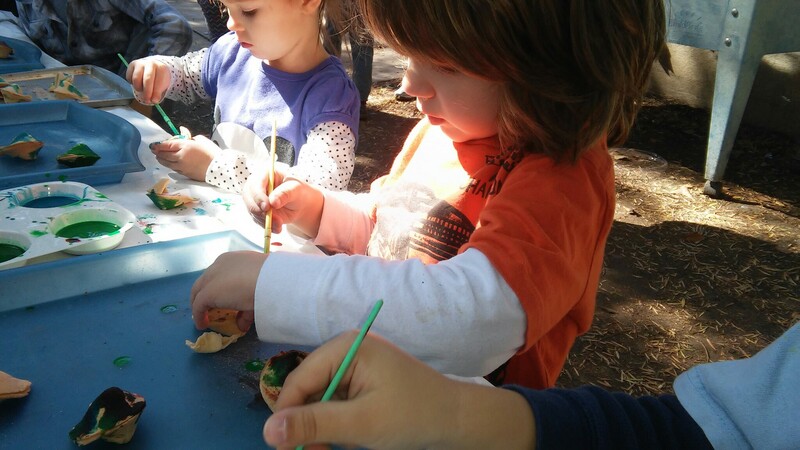 We include food in many of our activities because children learn best by exploring, feeling, tasting, smelling, and even playing with materials. 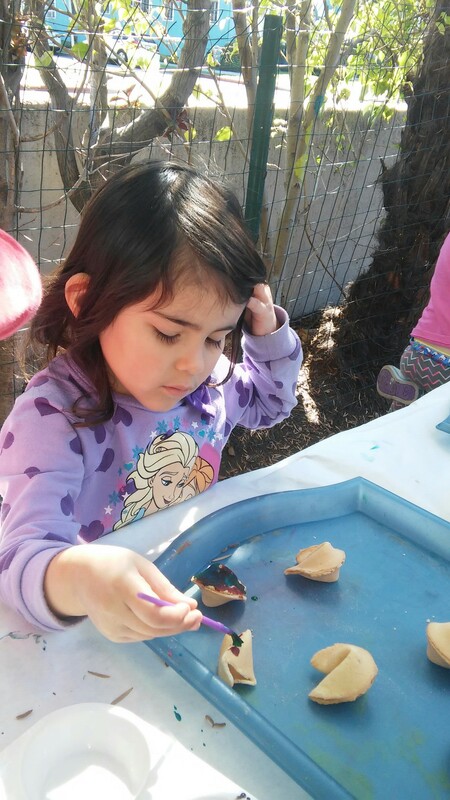 These play experiences teach them not only about food but give them tangible experiences to then build on for future discussion.